I thought I have been transported to Singapore in the early 80s or somewhere in Johor Bahru when Lawerence of Kopi More brought us to Hong Kiat Seafood Restaurant at Comfort Garden in Choa Chu Kang. Occupying the corner space along the row of shophouse, it is al fresco dining here, under the starlight outside the shopfront. Our dinner started with the Steamed Shark's Head that is cooked in a beautiful soy sauce with aroma of the deep fried garlic and sesame oil. This dish is not about meaty fish flesh but appreciating the shark cartilage and collagen of the shark's upper jaw area. The Sambal Kang Kong is a very common dish on the menu but I have to say this is really well executed. The greens remained crunchy and the spotlight goes to the sambal that simply perfumed it. It has a very kampong flavour to it. What surprises me is actually is the Deep Fried Garlic Pork. 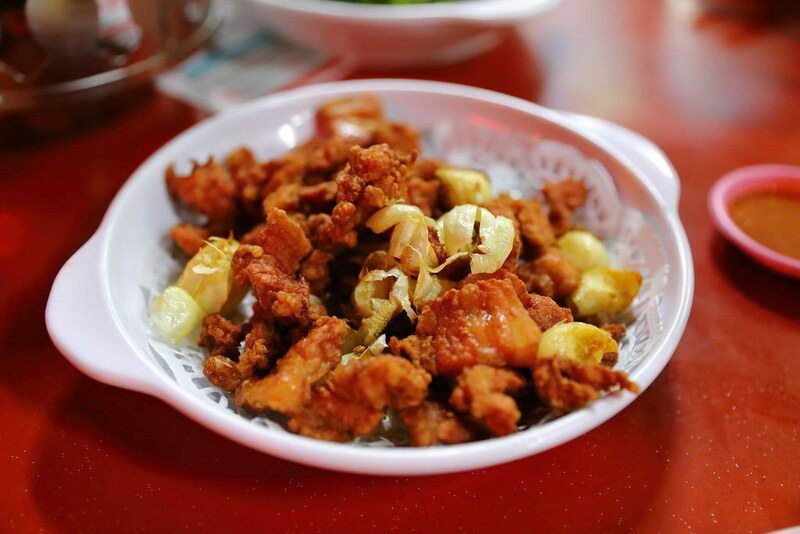 I thought it will be dry but it turned out the deep fried pork is crispy on the exterior and tender inside. 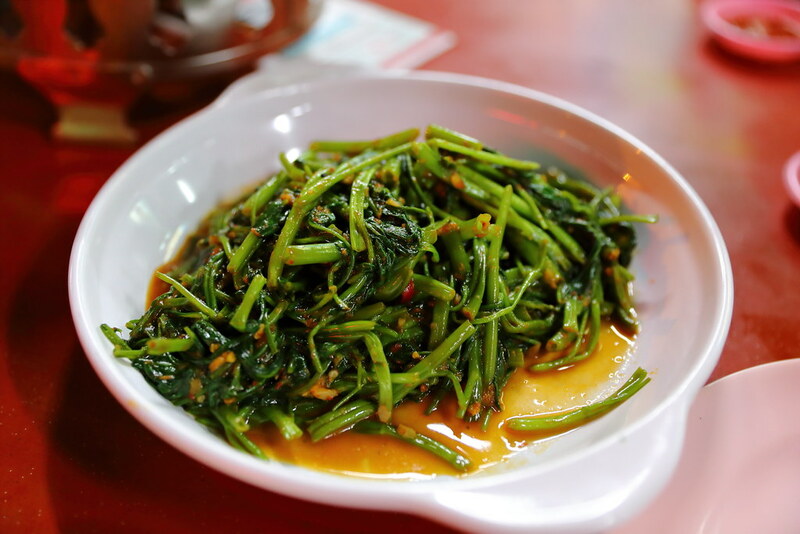 This is flavoured by the aromatic garlic, elevating the whole dimension of the dish. My favourite dish goes to the Gan Xiang Fish Head. 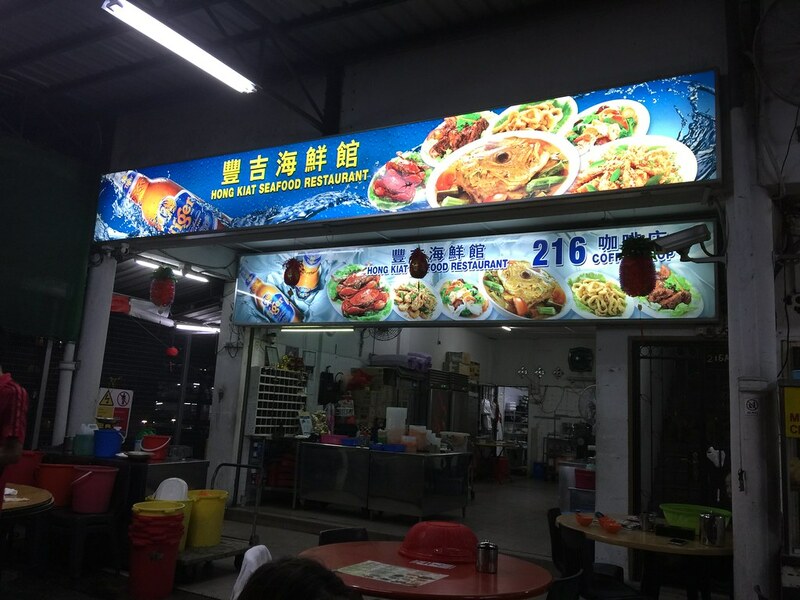 It is said that all Malaysian chef has their whole secret recipe for Gan Xiang sauce. It is like the master sauce that goes so well with anything. 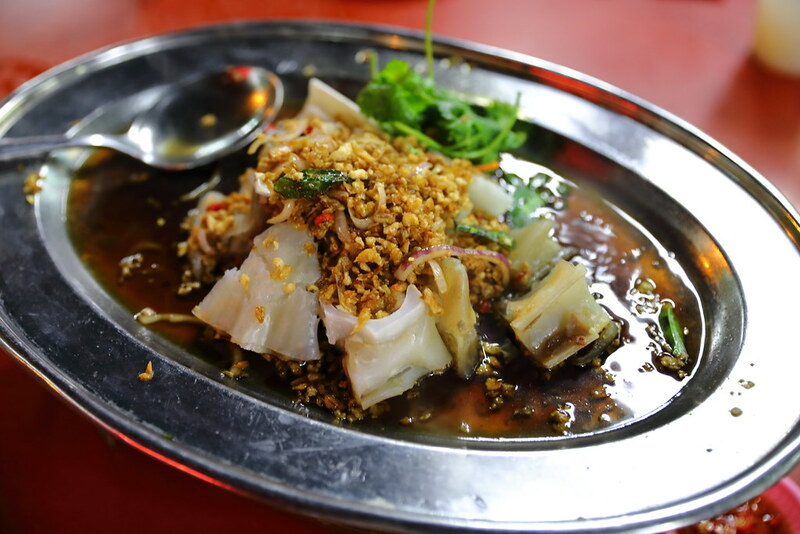 The special sauce is spicy, savoury and packed with a robustness that is just shiok. I would probably skip the Crab Bee Hoon. The crab is not as fresh as I would have preferred. 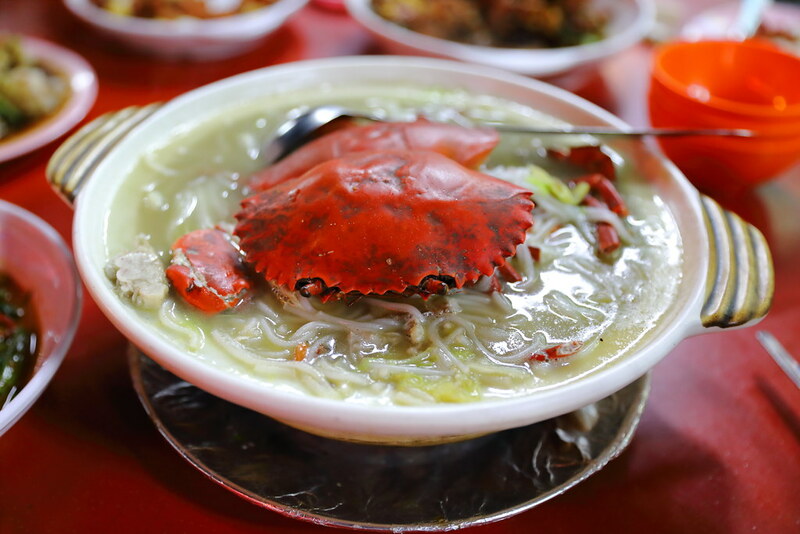 The bee hoon also failed to soak up the essence and the broth lacked depth. I have to set the expectation for foodies who want to check out the restaurant. 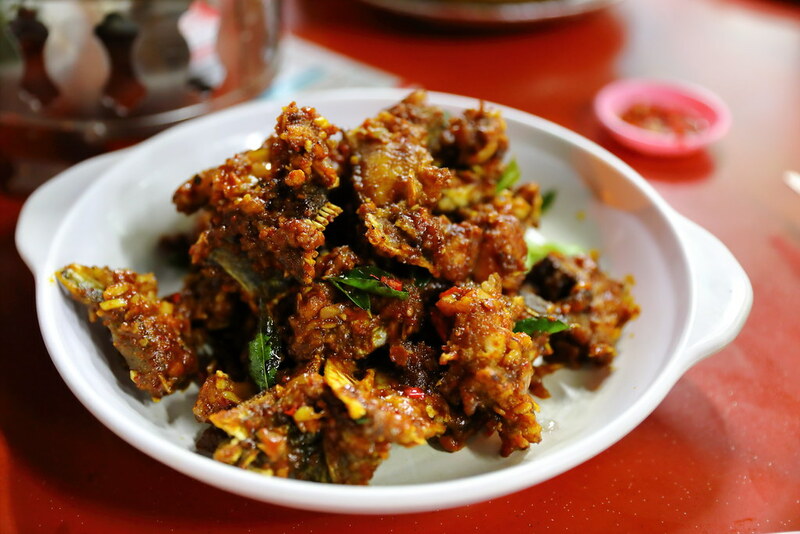 Hong Kiat is more of a zi char place than a restaurant. For those that is particular about hygiene, you probably may not feel comfortable dining in such environment which brings back memory of the early 80s dining scene. It is quite rare or almost not possible to find such dining experience in Singapore anymore. 1) Alight at Choa Chu Kang MRT station. Take Exit A, B or C. Walk to Choa Chu Kang Bus Interchange (Stop ID 44009). Take bus number 172. Alight 5 stops later. Cross the road. Walk to destination. Journey time about 18 minutes. 2) Alight at Choa Chu Kang MRT station. Take Exit A, B or C. Walk to Choa Chu Kang Bus Interchange (Stop ID 44009). Take bus number 983. Alight 6 stops later. Walk to destination. Journey time about 20 minutes. who r u to set expectations? michelin food guru? I am nobody but everyone is entitled to a view and opinion. Just like you questioning me now.